On his return Morant took up both residence and a staff appointment at the Toynbee Hall settlement in the East End of London. Founded by Samuel Augustus Barnett and Henrietta Barnett in 1884, residents ave up their weekends and evenings to do relief work. This work ranged from visiting the poor and providing free legal aid to running clubs for boys and holding University Extension lectures and debates. The volunteers included Richard Tawney, Clement Attlee, Alfred Milner and William Beveridge. 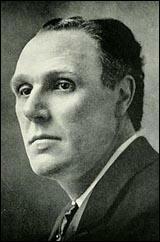 Morant's work was appreciated by John Eldon Gorst, the Vice-President of the Committee on Education, who appointed him as his private secretary. 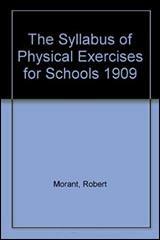 Morant played an important role in advising Arthur Balfour, in drafting the 1902 Education Act. It was an attempt to overturn the 1870 Education Act that had been brought in by William Gladstone. It had been popular with radicals as they were elected by ratepayers in each district. This enabled nonconformists and socialists to obtain control over local schools. Robert Morant died after an attack of pneumonia on 13th March 1920. In November 1911 Morant resigned from the Board of Education and accepted an offer from the chancellor of the exchequer to become chairman of the National Insurance Commission for England. 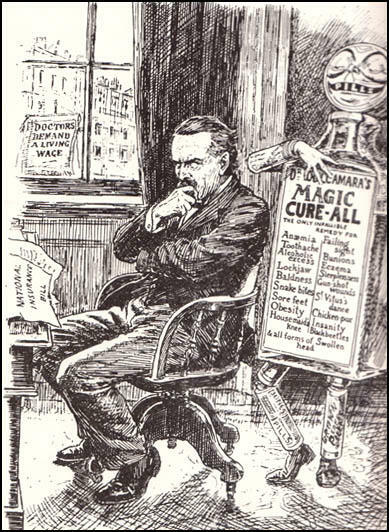 He had told Lloyd George that the only reason that he had taken on what the chancellor himself had described as the ‘gigantic task’ of implementing the National Insurance Act was the opportunity it gave him of working towards the unification of the nation's health services, which had been his ambition ever since Newman and he had issued their first circular on the medical inspection of schoolchildren. The most immediate task was to ensure that the administrative arrangements were in place to ensure that by the set date of 15 July 1912 there was machinery to collect the contributions of 12 million people and their employers. At first Lloyd George supported Treasury objections to more than minimal staffing of the commission, but Morant told him forcefully that the legislation would fail unless he was given a free hand to recruit the people he needed, and the chancellor gave way. Government departments were more eager to get rid of their troublemakers than their most gifted administrators; but, however random the selection, this trawl for talent was the first time that the first division of the civil service had been treated as other than a collection of departmental élites, and among the men who came to work with Morant were future stars of the higher civil service of the order of Warren Fisher, John Anderson, and Arthur Salter. The deadline for establishing the contributions machinery was met on time, but that still left another deadline, that which loomed on 15 January 1913, the date set for the introduction of the general practitioner service. The opposition of the medical profession was overcome, and this deadline was also met. Later in 1913 Morant made use of a provision in the act for the establishment of a fund for promoting medical research and the Medical Research Committee was established, which proved to be the forerunner of the Medical Research Council. 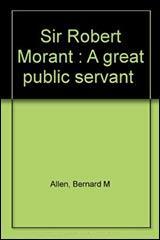 Morant was the effective author of the National Insurance Act of 1913, which eliminated various flaws experienced in the working of the earlier legislation.